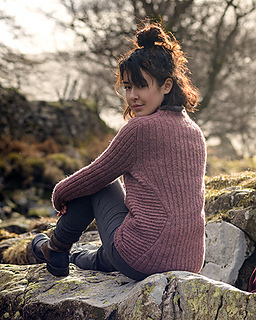 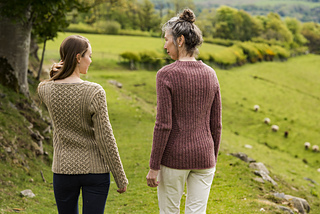 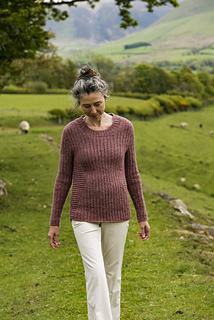 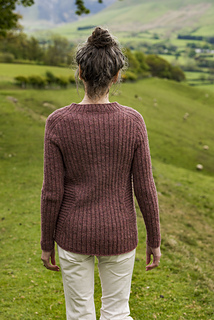 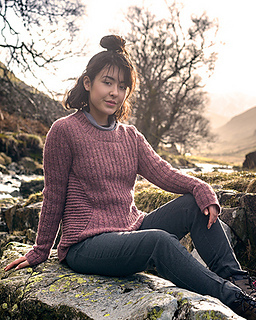 Hazel Bank is a sporty, ribbed sweater with flattering, textural side panels to create an hourglass silhouette. 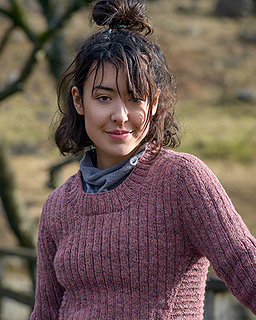 Knitted in Lore, it is worked from the top down and uses the Contiguous Set-in Sleeve method to shape the armholes. 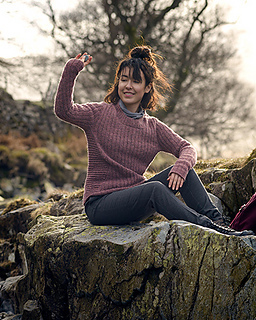 1.5-6.5cm (0.5-2.5 in) of positive ease. 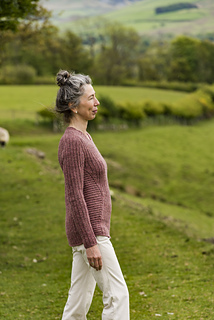 The Fibre Co. Lore (100% lambswool, 250 m (273 yd) per 100g hank in Gentle: 4: 5: 5: 6: 6: 7 hanks. 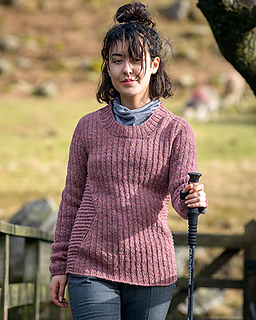 21 sts and 31 rnds to 10 cm (4 in) measured over st st after blocking using 4mm (US 6) needles.